World’s leading auction house, Christie’s shares with Lifespice advice from a selection of specialists, gallerists and dealers on how to make that first foray into the contemporary art market. Works from different decades and by artists with markedly different styles can comfortably co-exist in the same space. ‘A well-curated art collection can reinforce the style and tone you’ve chosen for your home, whether it’s opulence, drama, or bright show-stopping colours,’ says Zhang. 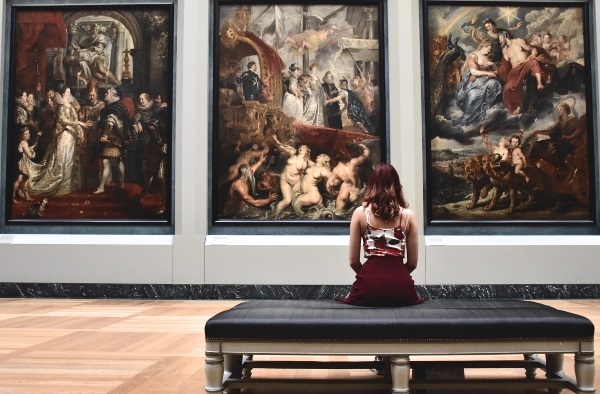 Seasoned collectors are always on the lookout for major works by established artists, and these remain out of reach for the collections of mere mortals, there are more accessible works. An artist’s early drawings, for example, represent a fantastic starting point for anyone wishing to own a work by a famous name. Also, certain motifs remain incredibly important to artists, recurring throughout their careers and becoming an essential part of their visual vocabulary. When buying, consider going for works that capture some of the most distinct elements of an artist’s practice. ‘In simple terms, provenance is the record of ownership for a work of art,’ says Han-I Wang. Did an important collector own the piece? Has it been exhibited before? These factors will play into the work’s price, so keep an eye out for this information in the sale catalogues. Embrace technology more than ever. ‘There’s a much more open feeling among younger artists and collectors,’ says Bianca Chu, Head of Sale for First Open in London. ‘It’s easier to gain access and understanding about contemporary artists thanks to social media platforms and the way we use imagery today has affected the way we collect art. ‘One of the best things about major art fairs,’ says Stephen Mccoubrey, co-curator of the UBS Art Collection, ‘is that it is a fantastic learning experience and a great place to pick up new ideas. There’s nowhere else like Art Basel Hong Kong for seeing so much Asian art in one place, with south-east Asian galleries like Nadi, and Arndt which provides a really interesting window on the Indonesian scene. You may know an artist, but their new body of work can be wildly different in form and function. We’re now starting to see this, in cultures such as South Korea and China where formal abstraction has no background. Tagged Art, LifeSpice, The Pad. Bookmark the permalink.